Beautifully situated one-bedroomed apartments on a wooded hillside above the charming fishing village of Loggos. Poseidon, tired from creating storm and strife at sea, needed a romantic retreat for himself and his beloved Amphriditi. With one blow from his trident Paxos was created and its reputation for both romance and tranquility has lasted long after the age of myth gave way to the age of man. In fact some believe that the island’s name derives from the Roman word for peace, Pax. 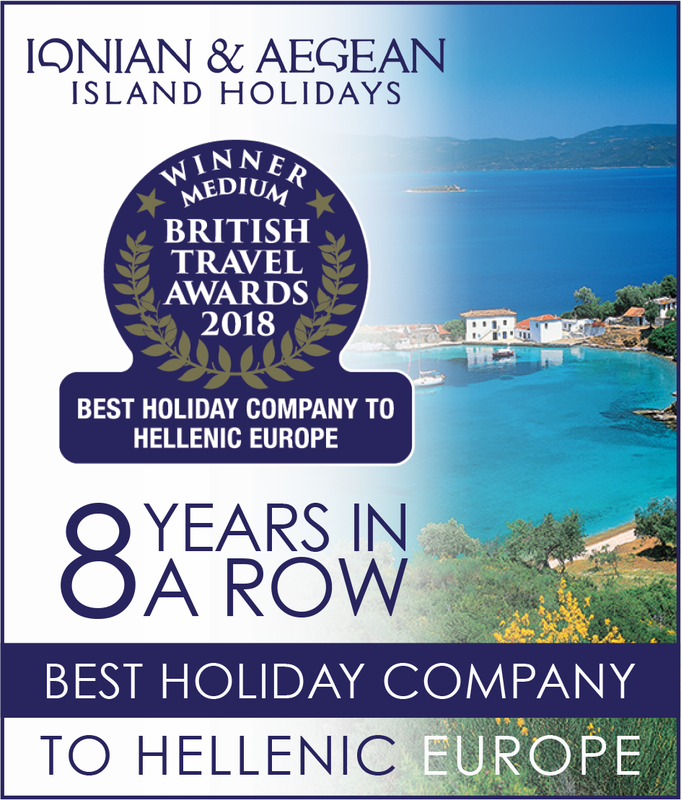 Whatever the origins of the island or its name, the charming tiny fishing village of Loggos on the sheltered northeast coast epitomizes the quiet beauty of this small island, and for that romantic getaway or a restful holiday in delightful surroundings the Pangolas Apartments are hard to beat. Surrounded by the famous olive groves and woods of oak and cypress trees, on a quiet hillside overlooking the harbour with views across the inner Ionian Sea to the hills of the mainland, the apartments are only a five minute stroll from the waterfront tavernas and mini markets of Loggos, with three or four lovely beaches within easy walking distance. Comfortably furnished each one bedroomed apartment has its own terrace or balcony. For those lazy, relaxing days there is a good size shared pool and sun terrace, but for those wishing to explore on foot a network of paths and trails, some centuries’ old criss cross the island, whilst the rest of this fascinating island, including the main port of Gaios is only a short drive away on quiet country roads. Poseidon chose well and for a relaxed romantic break for couples the Pangolas Apartments are highly recommended.